If you’re new to baking bread then you might think that there will be a huge bread making equipment list that you’ll need before you even start. Fret not! Baking bread is actually really simple and you don’t need much to get started. In fact, I’d say that it’s best to start as simply as possible and when you know you want to go to the next level, get some more kit. 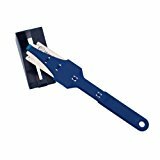 I’d say that you’ll probably already have a good amount of this essential equipment at home, but if not I’ve linked to some good options on Amazon. It’s really important to make sure that you measure out your ingredients properly. In a pinch you could start with those small bags of flour that make just one loaf of bread but going forward you’ll really want a good set. I prefer digital weighing scales because I can easily see how much I’ve added and it’s easy to tare them (set them to zero) so that you can add more ingredients. If you start baking with more than one type of flour this could be useful. 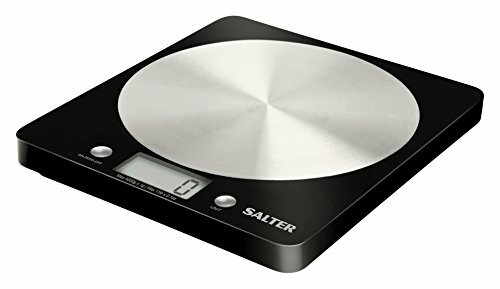 These kitchen scales from Salter are a great, inexpensive buy that are also small enough to fit away in a cupboard if you don’t need them every day. See them on Amazon here. 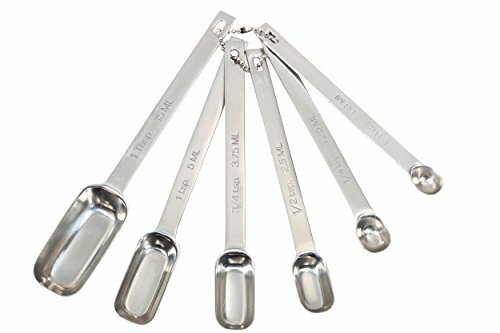 Similarly, if you want to be able to tweak the amount of salt, sugar or yeast you have in recipes or even add spices like cinnamon to a sweet loaf then a good set of measuring spoons will also come in handy. My biggest tip for you is to get a set with rectangular spoons as it’s so much easier to get them in to spice jars and yeast tins. I have this set, it’s lasted me ages and I never get annoyed with them like I used to with a set of round spoons I once had! You can see this set on Amazon here. And again, measure, measure, measure! For any liquids you’ll want to measure those right too. 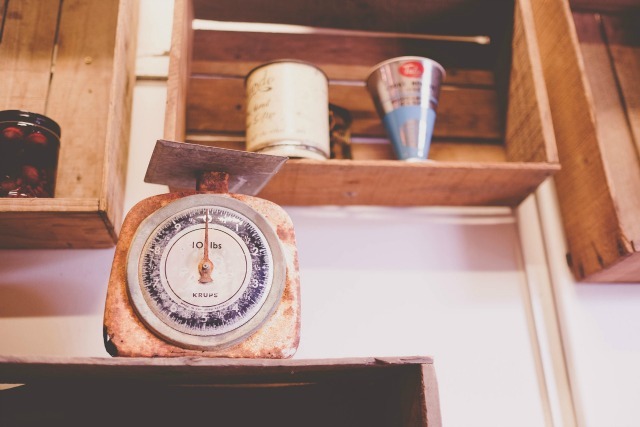 Handy tip – f you just need to measure water you can use your kitchen scales! 1ml = 1g so if you need 300ml of water just weigh out 300g. Other liquids will weigh different though so if you think you’ll need to measure oil, milk or other things a jug will come in really handy. If you don’t have a bread maker you’ll want somewhere to be mixing your dough. You could probably just use a flat surface, make a well in the flour for liquid and add it a bit at a time, but I personally prefer for my baking mess to be contained in a bowl! 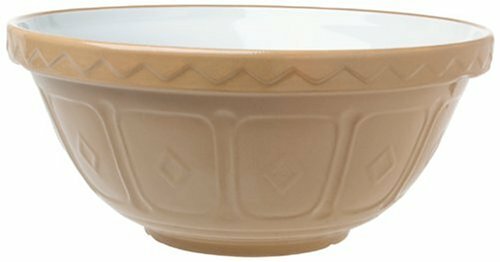 This Mason Cash bowl is perfect for any kitchen and I bet is just like one that your granny used to have! The fact that they are still one of the most popular mixing bowls says something! See the range of them on Amazon here. So you’ve measured, kneaded and mixed! Next is baking time. A good set of 1lb loaf tins should do you well for whatever kinds of loaves you want to make. If you want much larger loaves of bread, perhaps if you have many mouths to feed, then maybe go for a 2lb tin. A set like this one should last you a lifetime – just be careful not to use any metal items trying to get your bread out if it gets stuck as you’ll ruin the non stick finish. Any old cutting board will do of course, but if you plan to make a lot of bread you’ll soon know how many crumbs it makes! A good cutting board for bread is one that has holes to allow the crumbs to be caught. A sharp knife is also a good idea too as you’ll be so frustrated if your cutting ruins all your hard work. This cutting board comes with a knife and has a special place to store it. If you’re big bread eaters this will be essential! None of the following things are essential, but if you’re looking to up your game or maybe you just want to try out some other ways of making bread, these might be good for you. If you’re wanting to experiment with different artisan bread recipes you’ll likely see people using a proving basket. 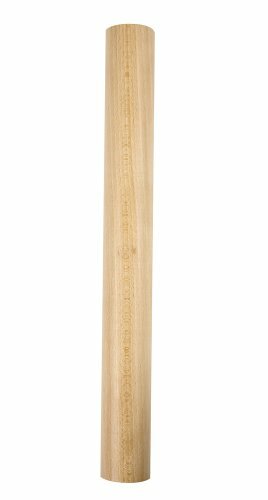 They can be a great addition to your bread making equipment if you know you’re going to use it often. If you’ve ever wondered how to get those nice cuts in bread that open out and look awesome – a knife could do it, but a bread lame is better. It’s normally a blade (like in old fashioned razors) attached to a handle. The extra sharpness is what you need so that it doesn’t drag on the dough. Again, if you’re getting serious with your bread then be sure to get a bread lame! You can see this item on Amazon here. As you know, you don’t need a bread maker if you have an oven. But for many people the convenience of setting and forgetting a bread maker is well worth it. If you want to make bread every day as well it can stop it becoming a chore. Choose wisely though as not all bread makers make edible bread. My favourite brand and one which makes really great bread is Panasonic as you can see in my buying guide to the best bread makers. A bread slicer is also a great investment if you want to bake a lot of bread and not find it disappear quickly when cutting it. Doorstops anyone? Buying an electric bread slicer was one of my best investments and I can’t say enough good things about them. Perhaps it’s because I love bread too much and it controls the sizes of it for me? I also have a buying guide here for the best food slicer for bread. 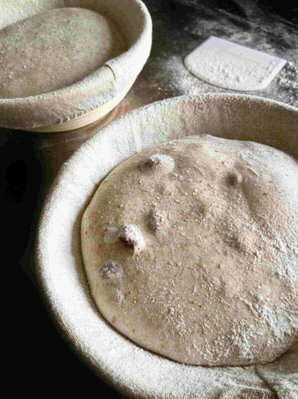 Finally, if you want to extend your bread baking in to flat breads, and you should, a rolling pin is great for getting your dough to the right thickness. I nice heavy and wooden pin is perfect in my opinion. I managed to declutter an old one of mine and left myself with a cheaper version and really regretted it. This one is what I mean – nice and chunky!